A new favorite! 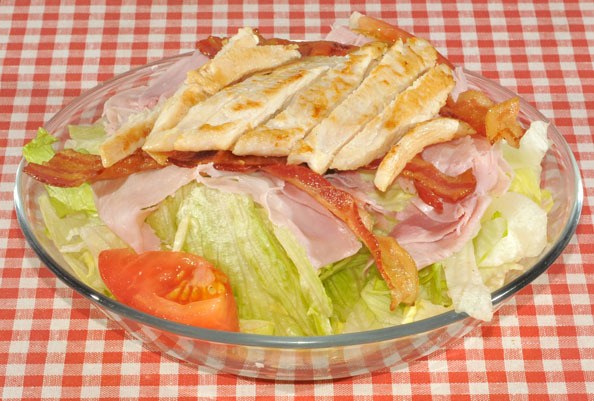 Ham, bacon, tomato and your choice of a chicken breast or chicken strips. 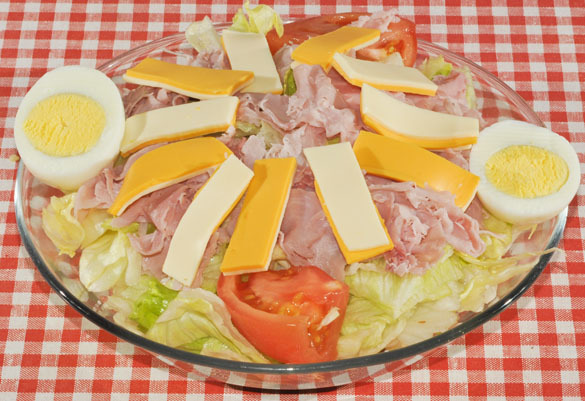 Crisp lettuce topped with ham, American and Swiss cheese tomato and egg. 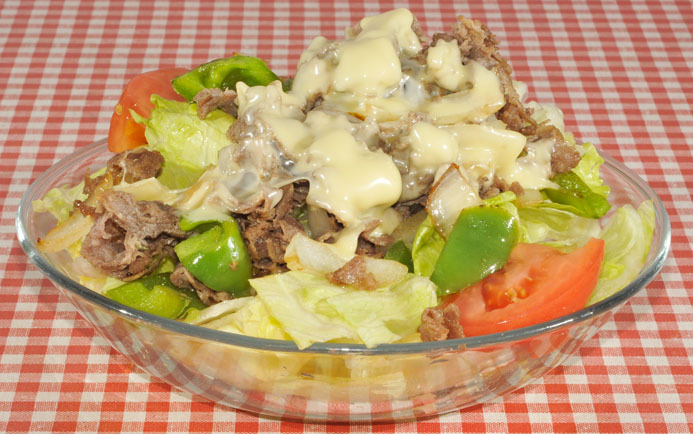 One third pound of sliced sirloin, sauteed onions and green peppers, topped with melted Swiss cheese and served on top of crisp lettuce. 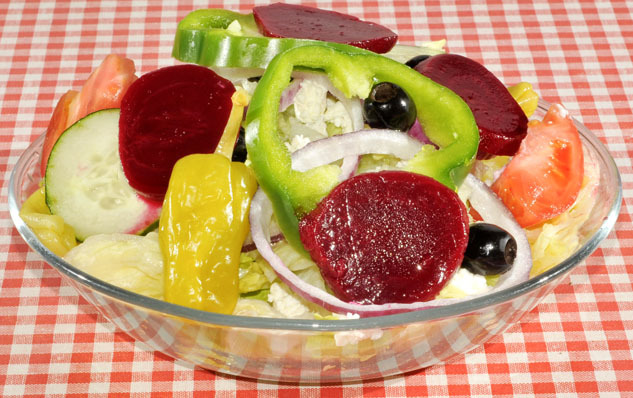 Feta cheese, olives, beets, cucumber, tomato, pepperoncinis and rings of onions and green pepper. Served with Greek Dressing. 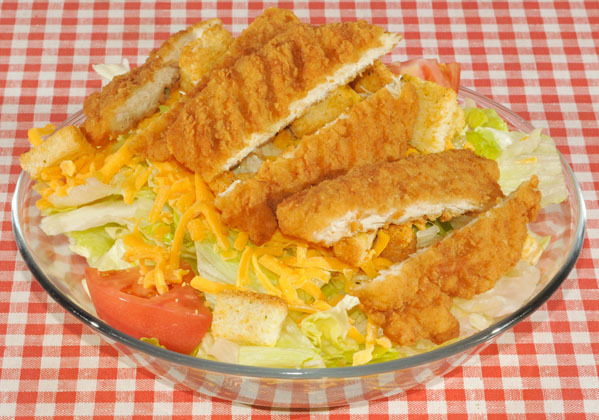 Broccoli, cauliflower, carrots and tomato served on top of crisp lettuce. Enjoy our "Soup of the Day" and Daly-Maid Chili with your All-You-Can-Eat-Salad. (Children 10 years old and younger $5.49, includes small shake, soft drink or milk, dining room only) No sharing please. 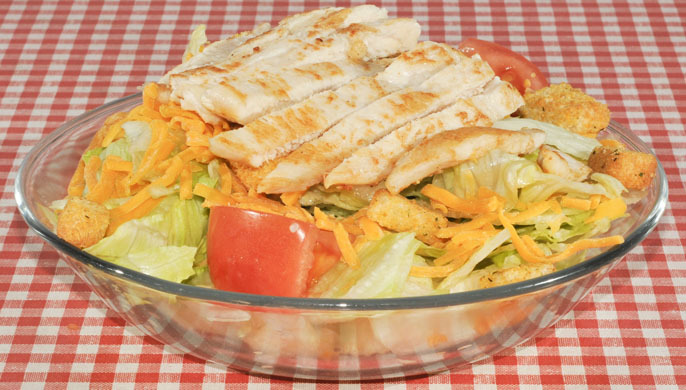 If you're fussy about your cole slaw, try ours. Cottage cheese and peaches served on a bed of crisp lettuce with your choice of tuna salad or a 1/4 lb. Dalyburger Patty.